Braids attaches over your bun using a comb and pressure sensitive clip. Great for a formal affair. Delicate Hairpiece by EasiHair – Final Sale 70% off. SKU: eh_907delicate. Category: Clearance - Last Call. Tags: Final Sale Hairpiece, Last Call, Last Call Sale. 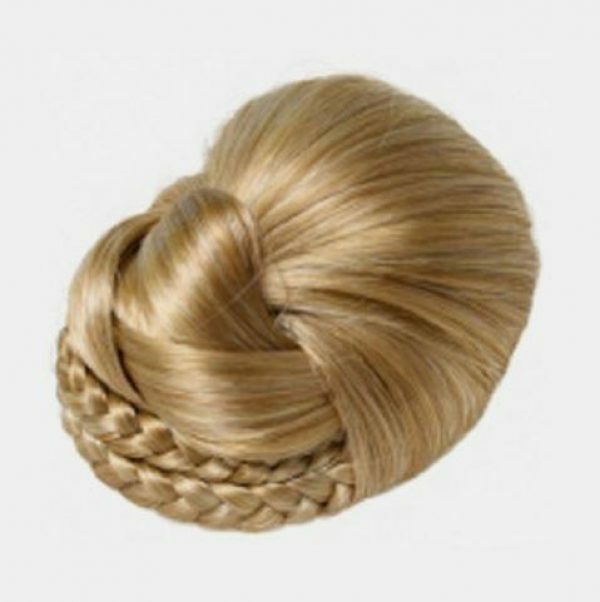 An intricate knot updo embellished with braids attaches over your bun using a comb and pressure sensitive clip. Includes drawstring and pin loops for added security. Delicate Hairpiece by EasiHair – Final Sale 70% off. Collection: Formal Affair, Easi Hair piece. Attachment: Combs and a drawstring base. Clearance & Closeout Sales: These items have been incredibly discounted off our regular prices while supplies last! Considered “Final Sales” and are not returns. Products and items: Discontinued products, our retailers in-store display, and website returns still in original condition.